Malaysia’s Employment Pass (EP) is a work visa (or permit) which allows foreigners and expatriates who are eager to work in the country take up their desired position with a Malaysian company. If you are looking for a guide to applying for Employment Pass Malaysia, look no further. An EP is just one of the many Malaysian work visa options offered to foreign workers. Other visa options include the Professional Visit Pass and Long Term Social Visit Pass (temporary employment of not less than 6 months). The EP work pass provides the holder with an employment contract which goes for up to 60 months. Expats usually end up working for a Sendirian Berhad (Sdn Bhd) company in Malaysia. Sdn Bhd’s are also known as private limited companies. 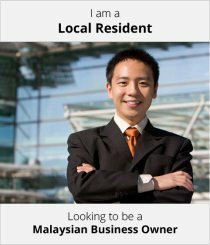 This Malaysia work permit will allow expats to enter the country to legally work and live. EP holders will be allowed to bring their dependants, including children over 18 years who are unmarried. They will be brought over using the Social Visit Pass (Long Term). More visa options will be discussed in All You Need to Know About Employment Pass Malaysia (Part 2). For a foreigner who intends to be a company director, they must be either a Permanent Resident, a Resident Talent Pass (RPT) holder or a Malaysia My 2nd Home (MM2H) Visa holder. All other foreigners coming to Malaysia for work will have to apply for an Employment Pass visa. Any company regulated by an Approving Agency will be required to submit an Approval Letter issued by the said Agency for each EP application (Category I, II and III). Any company regulated by a Regulatory Body will be required to submit a Supporting Letter issued by the said Body for each EP Application (Category I, II and III). Any company which falls under unregulated sectors (neither Approving Agency nor Regulatory Body) will have the EP application assessed by the Expatriate Committee. More information on the eligibility and features of each Employment Pass category will be discussed in All You Need to Know About Employment Pass Malaysia (Part 2). Companies regulated by an Approving Agency must submit an approval letter from the relevant agency for each EP application (this includes EP Category I, II and III). Companies regulated by the Regulatory Body, they will be required to submit a letter for each EP application (for Category I, II and III). Companies which fall within the unregulated sector range must submit a letter to the Ministry of Home Affairs seeking exemption from the minimum salary requirement for EPIII. Companies will be able to facilitate the approval based on their respective industries. *EP applications in the unregulated sectors will be assessed by the Expatriate Committee. For EPIII applications, approval must be received from the Ministry of Home Affairs first. Qualification must be degree or higher with minimum 3-years’ work experience in the relevant field. Diploma holders must have at least 5-years’ work experience in the relevant field. Technical certification or equivalent holders must have at least 7-years’ work experience in the relevant field. EPIII holders in Malaysia who have renewed their passes twice or for the past 3-years consecutively must leave the country. They must serve a 3-months cooling off period before they can apply for an EPIII pass again. EPIII holders who intend to change employers must leave the country and serve the 3-months cooling off period. They will then be able to apply for a new EPIII with the new employer once the 3-month period is over. The EP registration process in Malaysia involves three stages. The first is the registration, the second stage is projection of expatriate’s recruitment for the coming year, and the final stage is the submission of the EP application. ESD (Expatriate Services Division) is a requirement for companies who intend to employ expats. Companies can submit all the expat-related information required online to help facilitate the application process. This is a required step, as companies must receive approval before they can hire foreigners. ESD registration must be completed before lodging the EP application. Before submitting your EP, you must create an ESD account with the Immigration Department of Malaysia (under Ministry of Manpower). You may log onto the website to do so. Complete all the necessary information needed and upload your required documentation. Submit your application and wait for Immigration to inform you if further information is needed. During the registration process, once you have submitted your details and documentation, you will need to wait for updates on the status of your application. You will be notified via the system. Upon approval, a Letter of Understanding must be completed and printed out. Once done, you will then need to make an appointment with ESD to complete the registration process and gain full access to the ESD website. After successful registration, you will then submit your expatriate application via ESD online. You will be notified of the status of your company via the system. To ensure that a company’s estimation and planning for the number of expat talents coming in is realistic, a company must submit a projection of its expat talent requirements to the ESD. Once submitted, ESD will take five working days to process the submission under the Client Charter. All EP applications for expats will be assessed on an individual basis. The applications will also be subjected to approval based on the merits of application. Since expats are not allowed to apply for their own work passes, the hiring company will be responsible for the application. Once the ESD registration has been complete, companies can submit their EP applications via the website too. EP passes will be processed within 5 working days once all the documents are received. Once approved, the work pass will be issued. *Note: If an application is rejected by the Securities Commission, an appeal may be lodged 14-days after receiving notice of the decision. Can Employment Pass Applications Get Rejected? Yes, your EP application can be rejected if there are certain requirements which aren’t met. Reasons for rejection can include a full quota (so there is no real reason to hire foreigners), incomplete application forms, records not being kept up to date, and failure to provide certified true copies of documents. If your salary does not meet the requirements, your application could be rejected too. If your skills may be locally sourced, your application could be rejected. Your employer also needs to submit a strong letter of justification indicating why they need to hire you. Your employer can submit an appeal if your application is rejected. The processing time for this appeal would depend on the circumstances and reason for the appeal. To minimise instances of rejection, it is highly recommended that you seek out experts like Paul Hype Page to help you with your application process. Employers should also provide a strong letter of justification emphasising why this foreign talent is needed. Can Employment Pass Holders Bring Their Dependants to Malaysia? EP holders can bring their spouses, children under 18-years, legally adopted children under 18-years and parents to Malaysia. They will fall under the Dependant Pass holder category. Applications can be made via the ESD website. The duration of the Dependant Pass will be the same as the principal EP holder. Ready to Apply for a Malaysia Employment Pass? With years of experience under our belt, Paul Hype Page can help you apply for your Malaysia Employment Pass quickly and efficiently. Our scope of services will cover all your business needs under one roof. When you choose Paul Hype Page, you are choosing the fastest way to your future. Paul Hype Page is Singapore’s foremost expert in company formation. 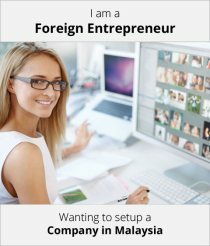 We assist entrepreneurs and help them get set up in Singapore and Malaysia. We comply with the government of Singapore’s terms, as well as all existing statues, laws and regulations so you can focus on what matters most – running your business.